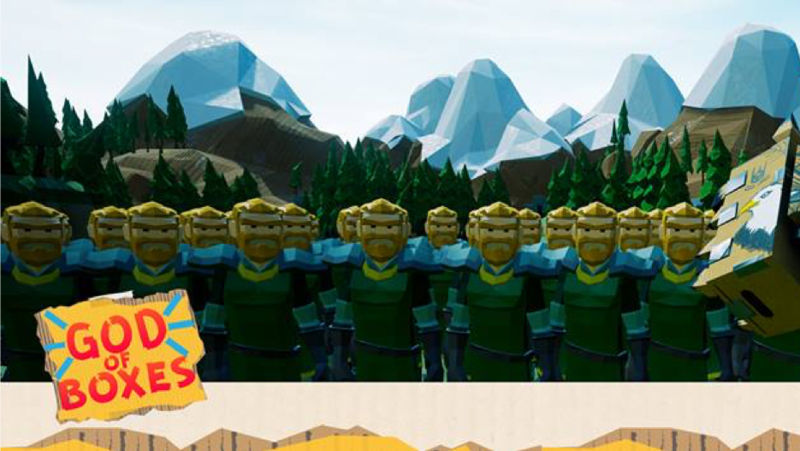 God Of Boxes is an action tower defense inspired from BOXWARS, cardboard battle events located in Australia where people bring their cardboard creations to destroy them and have a lot of fun. God Of Boxes is set in the Olympus of materials, a mythological place above the clouds, where the deities of every element resides. The player impersonates Krates, known between the gods as The Mighty Overbox. He’s the god of boxes, and commands the cardboard material. Krates is in charge of keeping the Olympus borders safe, invading the neighbouring realms to show off his divine powers and quelling rebellions.